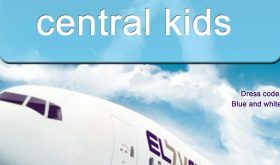 Jewish Tale of One City Tour! London’s Jews through the ages! 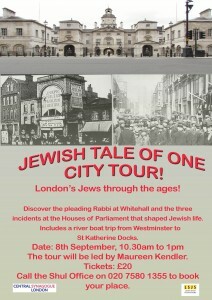 Discover the pleading Rabbi at Whitehall and the three incidents at the houses of Parliament that shaped Jewish Life. The tour includes a river boat trip from Westminster to St Katherine Docks. Date Monday 8th September 2014. 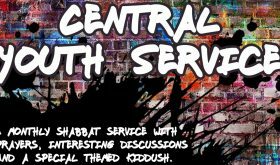 Time: 10.30am-1pm The tour will be led by Maureen Kendler Tickets £20 Call the Shul Office on 020 7580 1355 or to book online click here.